Cascade Detour Adaptor - CASCADE PLC - The new home of Cascade Clamps UK Ltd, Suppliers and Manufacturers of pipe fittings to the water & gas industry. The Cascade Detour Adaptor is designed to bolt on to valves to provide a bypass, this fitting can also be used an improvement process on existing lines by allowing a hydrant or washout point via the flanged outlet. ​The adaptors design also allows for the bolts to be reversed meaning that it can be torqued from behind the outer ring, instead of the conventional method. 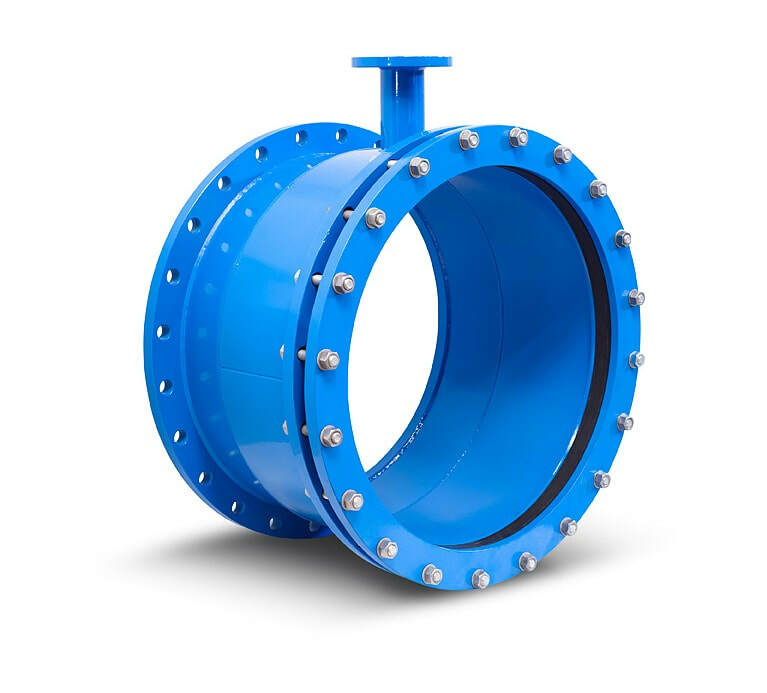 This allows the fitting to be installed in tight working environments or when the connecting pipe goes through a wall. ​Cascade can fabricate these to order and sizes start at DN300 PN16 and up. Fitted with WRAS approved EPDM. Working pressure of 16 bar. For more information and specs please see below downloadable data sheet.